I present to you the International Space Station. Orbiting the earth at a speed of 17,150 mph, this football field-sized space station is the largest artificial structure constructed by humans in space. Construction of the station began in 1998 and it became operational in 2000, with the first expedition to the station being launched in November of the same year. 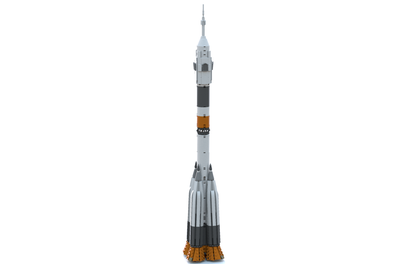 Now you can have the chance to create this iconic space station in LEGO bricks by supporting this project! 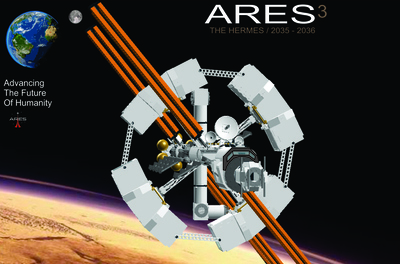 Includes fully articulating solar panels and modules and arm. 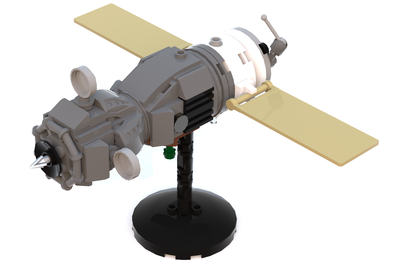 There are three different smaller craft in the pictures that supply the space station. These will probably not be included in the final set, should this reach 10,000, due to the high piece count of 7,796. Also, the last picture of the space station with the orange solar panels is another possibility, because the solar panels take on completely different shades of color based on how the light is striking them. The piece count of this version is drastically reduced, since it only has 3,275. The International Space Station has many different configurations and this represents only one of them. 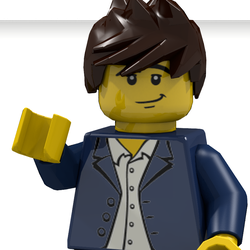 Share this project with your friends and family and post on social media and LEGO fan websites! Also, share this on any space website you know of!